I have always been a private person about diets and weight loss, always feeling that people, especially family would say, or think, “Oh, Wendy, you’re on another diet?”… so whenever I try, I do it secretly and never tell anyone, which adds to the shame and defeat before I even start. Isolating myself from everyone, instead of asking for help and accountability. This is the FIRST TIME that I have truly realized how important it is to tell everyone, pass on what is working, and to be humble and vulnerable and ASK for help. I cannot believe how many people are pulling for me, through phone calls, conversations, emails. What a blessing! I still get choked up when I think of my captain saying how proud she is of me. This is becoming an amazing journey day by day, sometimes even moment by moment, and I am so thankful to everyone supporting, encouraging and believing in me….. family, friends, acquaintances and even strangers! There were sooo many times I have been on diets, and through the shame of it, I would do it secretly and never tell anyone. I would just be miserable trying to do it on my own. I can’t believe what a difference it makes when you tell others who care, and they choose do do it with you and/or just cheer you on! Wow! By taking a big chance and putting it out there,little by little… this time… immediately others started to come on board with me…. On a weekend at a Women of Faith Conference last November, one of my close friends and I talked about the constant struggles of weight loss. We both discussed how it is always on the top of our prayer list for ourselves. She decided to join me, and we promised to support one another along the way. When I got home, I saw the Dr. Oz’s “buddy system” episode for the Transformation Nation Challenge, which just verified that doing this with friends is a huge advantage. The week that I signed up for the challenge in October, I had called another one of my close friends who had moved to Pennsylvania, to tell her what I had done. She immediately signed up, and we have been calling and emailing back and forth to inspire one another and share the joy and wisdom across the miles. When she filled out the info on-line, she realized that she hadn’t been to her doctor in a very long time, which is one of the requirements. She called and got her appointment and all of the important numbers you need to know from your doctor, and then being excited to accomplish new great “firsts” during this challenge, she played tennis for the first time in over 5 years! She actually ended up later joining a league, and at this present date, she plays weekly and is taking clinics to get better and better. Her family also got involved, and one of the greatest things they started to do was..when anyone heads for the pantry where all the snacks are, whoever is near by shouts out, “nothing tastes as good as fit feels!” After she shared that great saying, it became something my husband and I would say to each other as we stood in front of the open refrigerator trying to figure out what to have. As inspiration and encouragement for one another, this friend’s family has a wall that they put post it notes to one another. 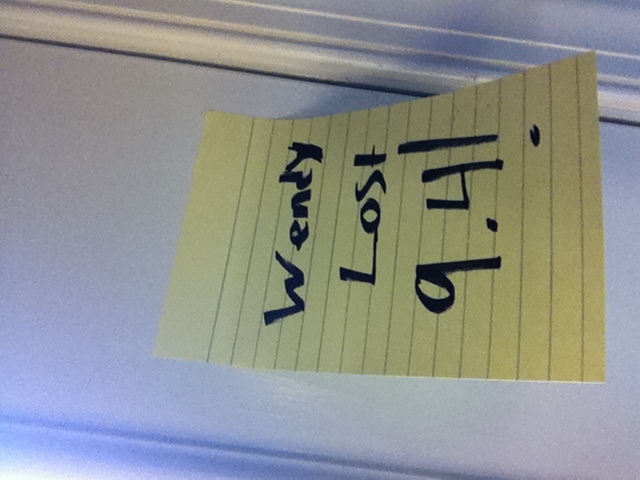 Well this was another huge moment for me back when I started, because I found out her son, Ethan, actually stuck up a stick-em note that said, “Wendy lost 8 pounds”…every time think about the fact that her son actually heard her get excited for my weight loss, and then… on his own, he chose to put my name on a note to inspire all of them….wow, I am overwhelmed, still, every time I think about it. I LOVE knowing that my stick em note is constantly hanging in their kitchen with my current weight loss total. . It’s amazing how overwhelmingly wonderful it feels to inspire someone else, even with just 8 pounds, which was the amount I had lost when he put the first note up. Another wonderful friend, whom I first met when our moms had us in strollers, lives in Connecticut. We have been on diets and gone to many exercise classes together throughout our lives, and even far away, she continues to email and call to encourage me to win this battle once and for all. Another person that came on with me right from the beginning was my brother, Andy, in California. Every since I signed up and started, he has continued to take different classes, run over mountains, run up and down crazy steep stairs in the hills of California. He even just signed up for a lap swimming class which is starting up next week. He calls me just about every day to check in to see how I am doing, spur me on and share all of his great celebrations of fitness and eating right. He has always been soooo encouraging, and every time he calls, he says, “I’m your biggest fan. You can totally do this.” When he has flown in from Ca., he has joined me exercising, pushing me to constantly go deeper, farther and harder than I think I can go. He is my “Bob and Jillian” wrapped into one! So many others, since this journal entry was written in November, have been inspired to try to ways of exercising and eating right, along with being encouraged to try other things in their lives that they have either put on hold, or never thought about trying…until now! It is so exciting to hear the stories of so many new “firsts”. Tomorrow morning is another weigh in, I can’t wait to go and see what I’ve accomplished. I look so forward to another weight loss, I look forward to all that Elyse has to teach us at the meeting, I look forward to hearing all the ideas and encouragement from our group, along with all of us sharing the struggles and knowing that everyone will help each other through them. October 26 was…-My FIRST SPINNING CLASS…. I was absolutely petrified. I sat in the car and talked to Dr. Oz into my camera. Took a while to walk into the gym. I had emailed Olivia Ward (winner of the Biggest Loser). I told her how scared I was, and she sent an email to cheer me on, and told me that when she recuperated from her surgery, she would come and spin with me! I thought about Olivia and Hannah and all of the people on the Biggest Loser, who have to work out 6-8 hours a day, and thought, if they didn’t die, I can make it through this. As the moves got harder, and everyone was standing up and pedaling, I just said to myself, “Wendy, just finish the class. Just keep pedaling, don’t stop, and be happy if you can just make it to the end.” I got a bit braver, and stood for 1 whole song, and then just followed the pace of the teacher, as I sat and pedaled. It was sooooo hard, and sooooo emotional. Tears came down my cheeks at the end, as I couldn’t believe I did it. I was also crying, thinking that I had soooo far to go, to be able to keep up with everyone in the class, but I had to hold onto the fact that I had just made it through my first spin class. Something that I had been wanting to try since Olivia had said it is the best burning workout. So…..another “First” is accomplished. I’m proud of myself for getting through it without stopping. 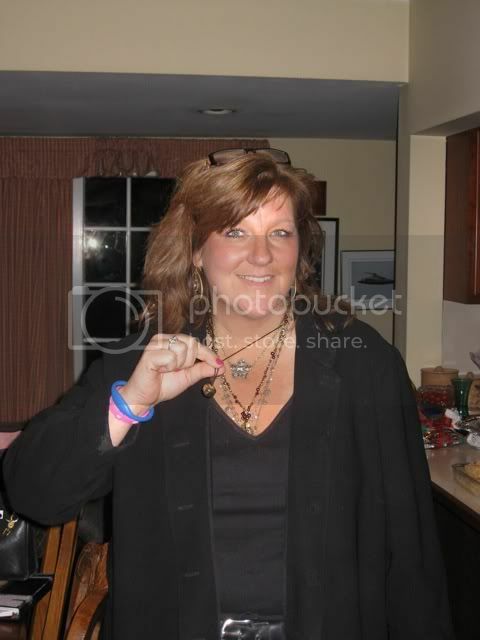 October 30- Weigh in….it has been 4 weeks, and I am down 8 pounds! Although I want it to come off much faster, they always say 2 pounds a week is great and if you continue at that rate, it should stay off. With over 100 pounds to go, I want it to come off fast, like on the Biggest Loser, but that is not reality, and I have to celebrate 8 pounds. (as many WW leaders have said, if you lost 2 pounds every week for a year, that would be 104 pounds!). So I am really praying to stay at that pace if I can. Wish it were faster, but as long as it keeps going in the right direction, I have to celebrate every ounce gone. MY FIRST VIDEO BLOG- Just do it! THANK YOU EVERYONE…You made me feel like a rock star! Before I put my next few posts up, I had to just thank you all for all of your beautiful words of encouragement and love. When Warren (my husband) and I finished setting up this blog, it was the scariest moment for me to hit the button to send it out the the world. After getting up the courage to do it, Warren then tagged it on his facebook page (all the technology I am not able to do–yet! ), and we went to relax and watch a little TV. By the time I was going to bed, still a bit anxious and fearful about putting such a difficult and private area of my life for me out there, I went over to the computer to shut it down, and my email was filled with “wordpress” messages–all of them from all of you!!!! I started to click and read them…tears were streaming down my face, as I tried to take in every word. Wow! After I read every one of them up to that point, Warren and I clicked over to his facebook page to see if there were any comments. Not only were there comments coming in, but many of you had taken it and posted it on your own walls for me! I wish everyone in the world could feel and experience what I have experienced these past few days, going to my computer and reading all that you have written for me. People have been emailing and writing from all over the US, and my story has even reached Norway, Poland and London! Since I began this challenge, I’ve dreamed of winning the entire thing, thinking that that would be when I could possibly share and inspire others, after getting “thinner”. I had no idea that I had already been doing that throughout my life, in the ways that you all took tome to share with me. Why is it that many of us just can’t seem to see ourselves the way others see us? So many of us have so many “hang ups” that keep us from seeing the value and impact our lives have now, and weight is definitely mine. But all of you, through the stories you have shared with me, your words of love and encouragement, and your belief in me…sharing the way you see me…has been the most precious gift and a feeling that I can barely put into words. So thank you for taking the time, not only to read my story and follow this journey with me, but for taking the time to write to me from your heart. I am holding onto every word, cherishing every story, and I’m working out even harder and harder, making the right choices…because you all believe in me–and your belief and encouragement is keeping me going! This week was a big turning point, and I will get to share the specifics when I bring you all up to date…for now I will start posting from the beginning of my journal, and in about 2 weeks, you will all be up to date with where I am now. I am just busting to share it all with you! So here we go…..
For the Dr. Oz Challenge, everyone had to go to WW to receive an “official weigh in form”. You didn’t have to stay or join, but your official weigh in had to be there. I looked up all of the WW meeting times online, and decided to weigh in on Saturday in Manhasset. I know it might sound crazy, but I didn’t want to go to a meeting in my own town, as I didn’t want to bump into anyone I knew, especially while weighing in. After weighing in and facing the awful number on the scale, I decided to go into the WW meeting, since it was free to try the day you weighed in. I had been to many different meetings throughout my life, and I wasn’t planning on signing up at this time. Little did I know the impact that this one meeting would have on me. The topic of the class was “motivation”. The leader, Elyse, who was a vibrant, great speaker..who spoke honestly about her own experiences, really speaking from her heart, with great passion the entire time…was asking everyone, “what is motivating you right now to lose the weight?” The room was pretty quiet (most of the people at the meeting hadn’t seen the Dr. Oz show with the Transformation Nation Challenge). I was sitting in the back row, didn’t know anyone, but finally raised my hand and said, “what better motivation is there than to be able to win a million dollars! Everyone in this room has chosen to want to lose weight, and now we all have the opportunity to not only lose the weight, but Dr. Oz is willing to give you a MILLION DOLLARS to do it!!! Elyse then went onto explain the show. She was actually on it, the day it was announced). The meeting went on, and I could feel, immediately, how special this group of people were. They shared struggles so honestly, encouraged one another in such special ways, and Elyse continued to share all of her wisdom as a ww leader who has kept over 53 pounds off. By the end of the meeting, I knew I had to be a part of this group. I stayed after to learn the program, and then signed up before I left. The woman told me I could join monthly and save money, I hesitated, as always, thinking…am I really going to put a months worth of money out there? I had never done that, just to have the safety net of..”well, if I quit in 2 weeks or skip a few weeks, I won’t waste any money. This time was finally different–I was truly ready to finally win this never ending battle, and I knew from this first meeting, this was where I was going to get the support and knowledge to do it!! And become the “Million Dollar You”, you were meant to be!!! I’m truly ready to win this never ending battle! October 3rd– I sent emails to friends and family to see if they wanted to join, took all of the quizzes and tests on the Dr. Oz website for the challenge. Then I printed out all of the info, including all of my beginning numbers of weight, BMI, etc…and sealed it in an envelope to be opened when I do the final weigh in in April. Just so you all know, the contest is still open for anyone to join. Go to a local WW meeting and weigh in, just fill out the paperwork and join me in the challenge. We can do it together! Tomorrow I will put up my first video blog. It is the first time I filmed myself in October when I began. It will be another scary, uneasy feeling for me to put out a video of myself. Many of us, especially those with weight issues, don’t enjoy seeing ourselves in pictures, let alone video. But I know that I am constantly being taught and inspired by others who have done so, especially those who have even been on TV, sharing the weight loss for everyone to watch. It will be another tough “first” when I hit that send button tomorrow, will be working up the courage until then. “Hello World” was the sample title that the blog company chose for the first blog, so I thought that I would keep it, as those 2 words sum up what this first post will do…allow me to say hello to the world and begin sharing my journey with everyone. So, thank you for taking the time to join me in this, as I feel in my heart that this journey is going to become something amazing, spectacular and extraordinary! I wasn’t sure how I would begin my first post, but I think the best way is to share with all of you how my story has led to this point. So, I will take the “About Me” post and place it here so that you can join me in this incredible journey that I am on…. Have you ever been inspired by someone in such a way that you couldn’t wait to share those words, thoughts, ideas with every other person you know and care about? That has always been my greatest joy….to pass on the amazing wisdom that others have shared with me, to everyone I know, and many times, even to strangers. For me, it is pure excitement and joy to learn from others, things that truly make a difference in each and every moment and “season of life”, try to put it into practice in my own life, and then share the wisdom with everyone I can. I have always kept notebooks filled with my favorite sayings, ideas, teaching moments, etc.. I have even started writing a book of everything that I would want to pass on to someone (but that’s another thing I have to finish)..
For me, the joy of being inspired and then inspiring others is something that I can barely put into words. It literally takes my breath away. The one area, however, where I have never felt that I had the ability to inspire others, is in the area of weight loss. I have battled weight my entire life. The last time I was happy with my fitness and weight was in high school. I have gone on many diets, lost and gained it back, over and over again. Now, at a time where my children are a bit older, and I am now in my late 40’s, the time when everyone says you start to become wiser and learn that you have to come first in order to live your best life, Well, I guess that’s where I am now….and for the first time in my life, I BELIEVE I CAN DO IT! Every season, I watch The Biggest Loser. I sit and get inspired each time, and then I start with a strict diet and exercise, and I last a while. But then each week as they shed pounds in the double digits, I get frustrated that my weight doesn’t come off as fast, I then give up.. and just continue to watch, wishing that I could be one of them. Then…Season 11 came. This season was going to be different for me, (or so I thought), because we sort of knew someone on the show. You see, Olivia Ward’s husband, Ben, lead worship at our church, and so now we were watching every week praying for her and checking in with Ben each week if he had heard anything. I even kept a notebook of all the “behind the scenes” questions I had while watching the show. In my mind, I was going to lose the weight along with Olivia this time. A few weeks into it, I hadn’t even started. Then, she was sent home for a few weeks at Christmas. I remember her walking into Church on Christmas Eve, she had already lost sooo much weight. She looked stunning. I was so happy for her, and again told myself, “ Wendy, just start after Christmas”. Well, the only one who really did it along with her was her husband, Ben. Every week at church, we watched him lose the weight. It was so exciting when they saw each other on the show during makeover week. The two of them looked amazing! Again, all I could do was beat myself up for not starting and sticking with it. So…in my mind at this point I thought, maybe Olivia would be willing to give me a few tips when she got back. As most people know by now, Olivia won the entire season. It was so exciting to see her win, especially as we all followed her journey and prayed for her. I was so happy for her, yet so disgusted with myself for not losing even a pound since the show started that season. 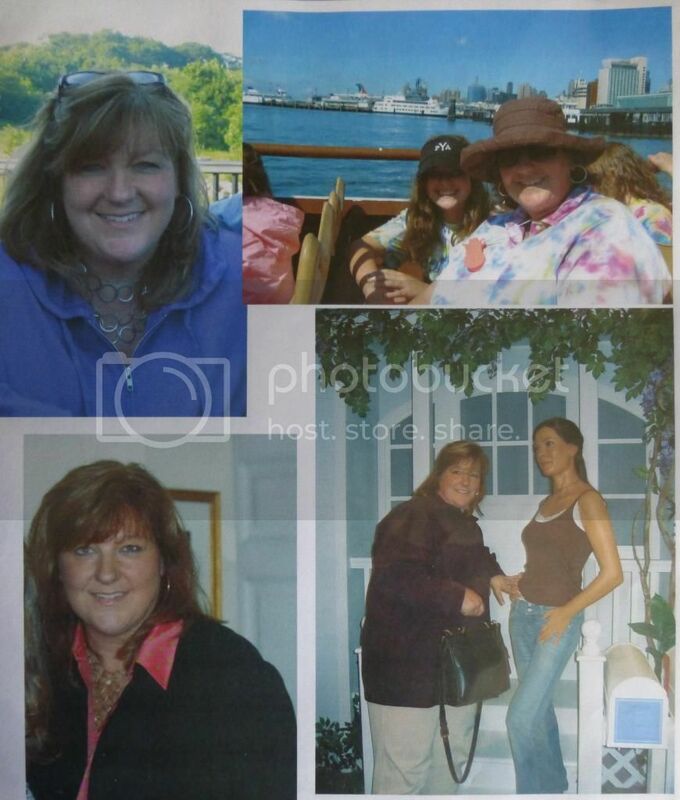 I wrote to her to let her know what an inspiration she was, and shared with her from my heart how desperate and defeated I felt in the weight loss journey. It was only a few days after the last show had aired, she was already a superstar in the eyes of everyone, people were stopping her wherever she went, and yet she took time to write an email to me. Right in the midst of all of her fame, Olivia wrote this email that changed my life that day… and started me on this journey of BELIEVING that I could be the “Million Dollar Me” I was meant to be, and win Dr. Oz’s Transformation Nation…. When I read her words, “I know you can do it…believe me if I can you can…..you just don’t have the knowledge…It’s not because you have failed….” The fact that she took time to write to me, and believed that I could do it, meant the world to me. Olivia and Ben took the time out of their new crazy schedules that next week and had breakfast with me and began to share their greatest tips and wisdom regarding weight loss. When I got home, I wrote down everything they said so that I wouldn’t forget. The fact that they won the battle with weight loss and believed in me..they believed that I could do the same, was a moment that I will never forget. As I started to put the knowledge together and try and make a plan of how to accomplish this goal, I found myself watching Dr. Oz one day (as I tape him every day). This was the day that he launched Dr. Oz’s Transformation Nation, Million Dollar You” Challenge. As I watched the show, a renewed hope and an indescribable belief came upon me. I took notes during the entire show (as I always do), and I proceeded to the computer and took all of the steps to join the challenge. This journey has been incredible so far, and for some reason I have kept a journal since the first day I signed up on October 2, 2011. I now realize, through many amazing circumstances, that the journal was kept so that I could share it with everyone through this blog. Everything that has happened so far, has led to this exact moment, where I am writing this “about me” section. I am sooo excited to see where this journey and blog leads me. I am praying that through it all, great wisdom will be shared and lives will be inspired!